MotoOnline.com.au editor-in-chief Alex Gobert was in attendance for the second night (Sunday) of the inaugural AUS-X Open in Sydney. He filed this report from night two. 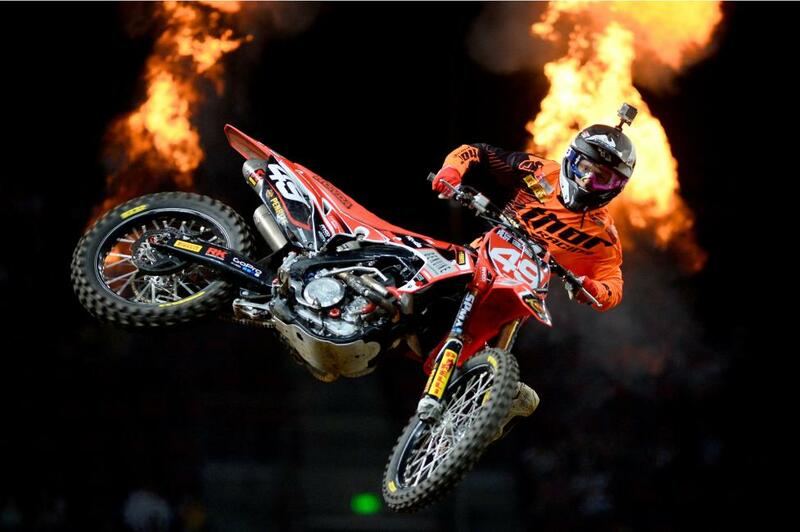 American Cooper Webb (Yamalube/Star Yamaha) claimed a hard-fought victory in the second night of the AUS-X Open at Sydney's Allphones Arena in Australia, holding off all the pressure in the world put upon him by international hero Chad Reed (Yamaha) in his homecoming. Despite the majority of Australia’s national factory contenders being sidelined through injury after a taxing opening night—including number one plate holder Matt Moss with an assortment of minor injuries—Sydney was treated to an epic afternoon of action. The 20-lap final started with excitement as Reed was toward the rear of the pack due to a reported fault with the gate drop, but things really heated up when then leader Dan Reardon (CDR Yamaha) went down on lap 13 in the first turn. Reed went down with him and Webb was caught up in it as well, allowing initial leader Lawson Bopping (DPH Peter Stevens Yamaha) to sneak back through for another turn at the front. 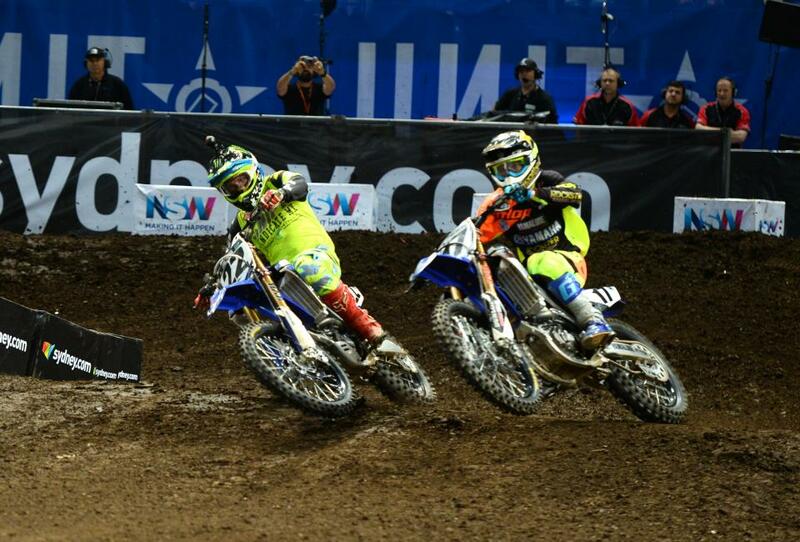 Webb got going quickly and moved into the lead on the same lap, with Reed remounting in third. From there Reed went by Bopping on lap 14 and quickly set after Webb. 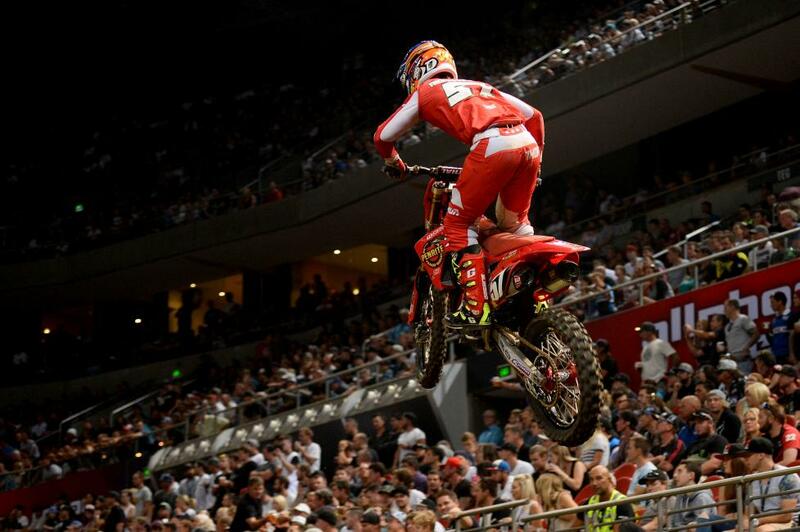 A gritty attack on the final lap was close, but not close enough, and it was Webb who took the checkered flag. With his night two win, being crowned AUS-X Open champion was a solid way for Webb to wrap up a grueling end to 2015, while Reed’s 2016 preparations continue to build in the lead-up to Anaheim 1. Behind them was a host of Australian supercross locals led by Bopping, Daniel McCoy (SFC Yamaha), Reardon, Cheyne Boyd (Park4MX Yamaha), Robbie Marshall (Honda), Aaron Tanti (Yamaha), Jono Krusic (Yamaha) and Josh Spanos (Honda). A frantic SX2 final belonged to the dominant Jimmy Decotis (Penrite Honda), making it back-to-back wins at AUS-X Open by a comfortable five-second margin over Penrite Honda Wilson MX teammates Jackson Richardson and Geran Stapleton. Richardson went down early while in a podium placing, but eventually clawed his way back to the runner-up spot after a forceful pass over Stapleton in the final turn on the last lap. Making it a 1-2-3-4 for Honda was CRF Honda Racing's Joel Wightman in fourth, while Tomas Ravenhorst completed the top five. 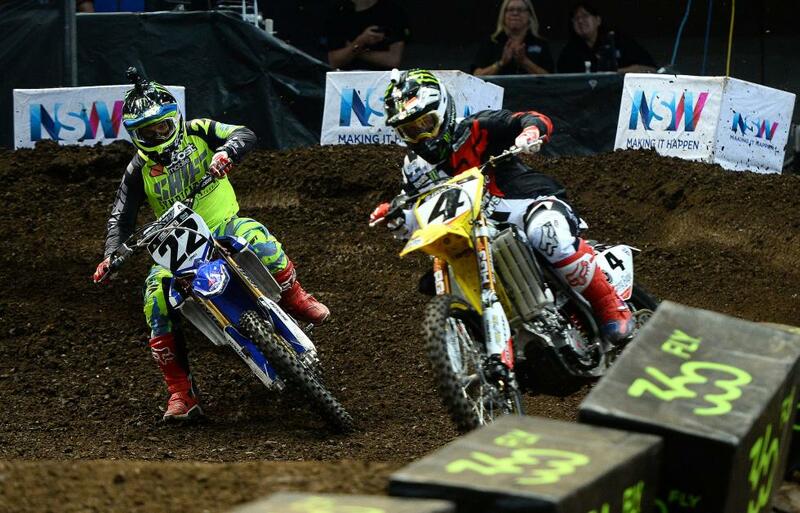 Once again Reed and the GOAT, Ricky Carmichael, put on a spectacular show for the fans in their head-to-head showdown. With Carmichael on the inside today, he exited the first turn in front and withstood the immense pressure of Reed over two and a half laps. But Reed eventually blitzed by through the whoops on the final lap. An attempt by RC to counter in the final turn was close, however Reed got the run and lit the candles—the duo once again receiving loud applause by the appreciative crowd on hand. Carmichael’s speed was once again the talk of the pit, lapping amongst the SX1 regulars in timed practice and qualifying sessions. He was also in the single-lap Superpole shootout, slotting into fourth with a 30.788s lap (Reed’s pole was 29.995s) and even one place ahead of Webb (30.790s). The Monster Energy FMX Best Trick contest was once again won by Australian fan favorite Jackson Strong, this time with a front-flip (without the one-hander). That beat out Frenchman Tom Pages’ alley-oop flair and Japanese ace Taka Higashino’s rock solid flip.